Posted by babyeggplant June 24, 2011 in the Group General Discussion . I didn't write these myself, but I find them a bit fascinating. Hope nobody minds if I share. 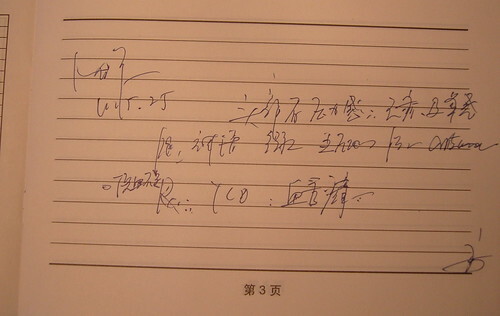 This was written on my hospital record last time I went to the doctor. Even the native speakers I asked were unable to decipher after the first part of "头有压力感." Could it be that doctor scribble is a universal trait? And finally the musings of a 20 something year old guy. He has some of the most legible adult writing I have seen. 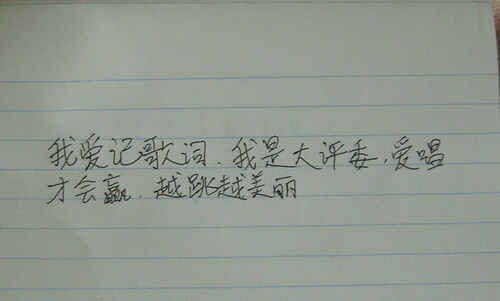 While I prefer this type of writing because I can understand it, he tells me that his writing isn't really considered 好看 by Chinese people.